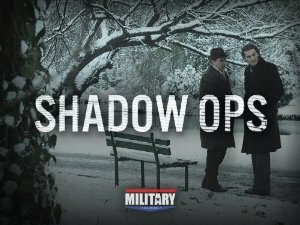 Shadow Ops is an intriguing new show about espionage on the Military Channel (an offshoot of the Discovery Channel) and I was privileged to write some of the underscore music for it. Shadow Ops reveals true tales of high-stakes spy games from agents who risked their lives in global espionage. Interviews with former CIA, FBI, KGB, and MI6 agents take viewers inside spell-binding narratives while fly-on-the-wall recreations and a digest of spy gadgets and tactics transport viewers right into the action. Produced by one of the few production companies granted permission to film inside the CIA’s headquarters, Shadow Ops on Military Channel is gritty, tense and fascinating. Shadow Ops can be streamed on Amazon and airs on the Military Channel.